Let me know what you think about it in the comments section below. And please LIKE (THUMBS UP) if you would like to see more of these. Finally we get to see those Litas!! They look fab on you!! I love this color,all of your looks are amazing! Have you ever thought of modelling?? I think you'll be a great model, love how you show each outfit! And YES, I'll definitely would love to see more videos like these!!!! Yay! I'm glad you liked it Diane! I tried modeling when I was younger but then stopped. 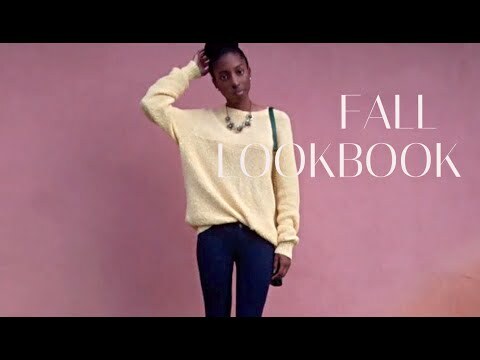 This lookbook is awesome!! I love it girl, you have an awesome style!! I enjoyed watching this you should def make more videos like this. And aww you rock as hell in those mustard litas!! Thank you ladies! I definitely will then. Time to search for more inspiration. wow it's amazing!! I love the video. Great!!! You are a wonderful model! Those Litas are hot!! Where did you get them? lol those are on my wish list. Isis: Thank you! I'm 5'7. I used to model when I was younger but I've thought of going back now yet I still haven't found a new agency. Mariah: I originally bought it from lorisshoes.com however they contacted me saying they had ran out of stock so I then purchased them from karmaloop.com . They're AWESOME! And delivery is super fast. Love this! and by the way, you'd be great at modeling..